What I like to do on week-ends is walking in the forest. And this is also what I do as a professor at McGill University. I am a plant biologist who specialized in tropical forest ecology and conservation. Tropical forests play a crucial role in the global carbon cycle and for species conservation. Besides they are amazingly beautiful and express the full imagination of nature! I am very preoccupied by climate change and, with my research group, we are passionately searching for solutions. These entail the study of land uses and the protection of forests in full respect for the people that live in or from them. This is why the banner of our laboratory is “Science for empowerment”. 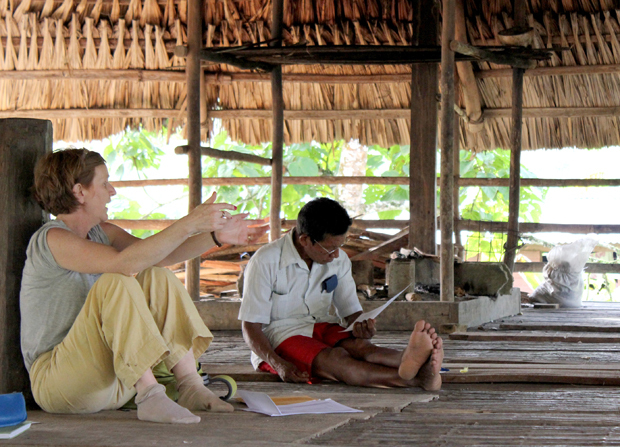 For 20 years now I have been collaborating and learning from Panama’s indigenous people. Outside of academia they are my main partner. How did I get there? I earned a B.Sc. and a M.Sc. at l’Université de Montréal, and then, in 1985 I completed a Ph.D. in Botany from Duke University in North Carolina. My next step was to come back Montréal for postdoctoral studies in statistics. I joined the Biology Department at McGill University 25 years ago already. Besides all this, I am a proud mother and grand-mother. Past the end of the road. 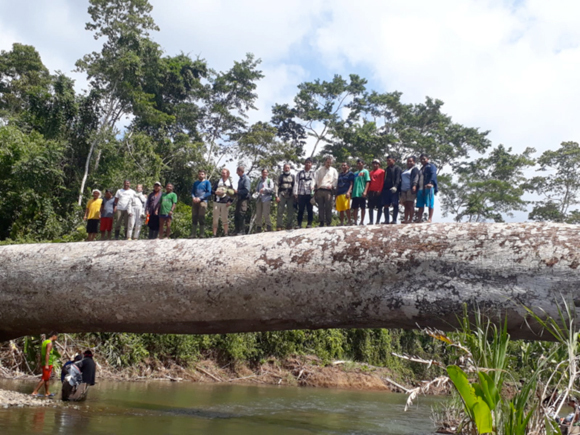 In January 2019, a team of Emberá, Panamanians and international scientists carried out a biological expedition into the heart of the Darién jungle close to the border of Colombia. We visited stunning forests that housed record-breaking numbers of Macaws and gargantuan trees—some that reached 65+ meters, a previously unheard-of height for Panamanian tree species. We measured the size and height of trees and palms to calculate the carbon stored by the forest and discovered that carbon stocks are an order of magnitude larger than previously estimated. To learn about past human occupancy, we dug down into the soil; charcoal fragments we found may indicate inhabitation of Darién as far back as a thousand years ago. We also scanned the forest plots with terrestrial LiDAR (Light Detection and Ranging), which produces hyper-detailed “clouds” of data that we can “walk through”—allowing us to revisit the sites with new scientific questions, measure the height of towering trees with precision, and share what we saw in Darién with the public. 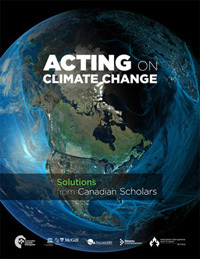 Natural Resources Canada commissioned Dr Potvin's network of 80+ cross-Canada, cross-disciplinary scholars, Sustainable Canada Dialogues, to produce an independent, scholarly report on the transition to low-carbon energy. 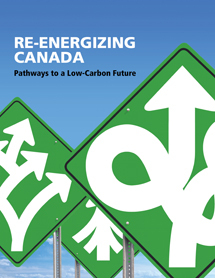 Re-Energizing Canada draws on data, peer-reviewed research and other relevant documents to explore the challenges and opportunities in achieving a low-carbon energy transition that will form the foundation of a sustainable future. As part of Dr. Potvin's Trudeau Foundation Fellowship, we collaborated with the Montreal Science Centre in their Indigenous Ingenuity exhibit, launched on October 11, 2017. We supplied the Indigenous initiatives in climate change and sustainability incorporated in the Climate Tactics portion of the exhibit and the associated video game (available to play here). Attention future postdocs! 2016-2017 Banting Postdoctoral Fellowship competition is now open. More info here. "Ground-Truthing in Panama" documents the Neotropical Ecology Lab's participatory, on-the-ground validation of LiDAR carbon stock measurements in Indigenous territories of eastern Panama. A scholarly consensus on science-based, viable solutions for greenhouse gas reduction. 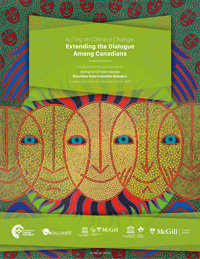 Produced by Sustainable Canada Dialogues, an initiative under the UNESCO- McGill Chair for Dialogues on Sustainability and the Trottier Institute for Science and Public Policy. Sustainable Canada Dialogues has mobilized over 60 Canadian scholars from every province, representing climate change expertise in areas from engineering to sociology. >> download the summary and the position paper and media coverage. The future of Candada as seen by women? 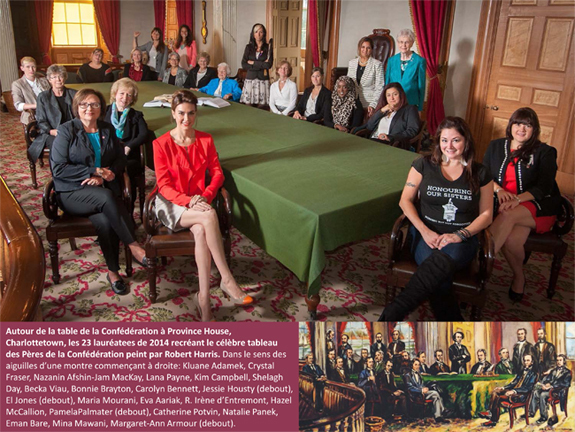 This bold vision underlines the celebrations for the 150th anniversary of the Conferences of Charlottetown and Quebec! In 1864, 23 men, inluding Georges-Étienne Cartier, met in September in Prince Edward Island and then, in October in Quebec to discuss the basis of what Canada would become. In 2014, following a wide nomination campaign, 23 women representing all regions of Canada were selected for their renowned work in diverse fields of politics, business, culture and sciences. These women, of different backgrounds and generations, have worked on a vision that would enable Canada to evolve in a promising future. Their declaration has become public today, October 21st, 2014. Please go to http://aboldvision.ca/accueil/. An interview in Spanish where Catherine speaks about deforestation in the Amazon, Canada’s position on climate change as well as of a new initiative that she is piloting: the Sustainable Canada dialogues. Dr. Catherine Potvin has been nominated as one of 23 of the "most influential and aspiring women leaders" and a visionary for the future of Canada. Read about the project, "A Bold Vision". 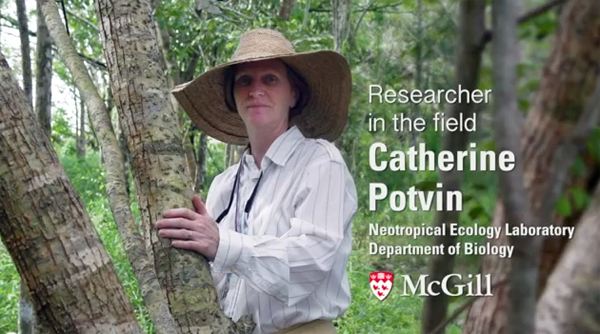 Watch the video: "Visionary Announcement"
The Neotropical Ecology Lab from McGill University carries out interdisciplinary research focused on carbon sequestration, land cover change and livelihoods. Our interest is to provide a sound science base to assist decision making regarding forests and biodiversity in Latin America. Our approach to science builds on the notion of empowerment of all actors – from local communities to indigenous peoples and national governments. We follow very closely both the negotiations and the implementation of the UN Framework Convention on Climate Change.